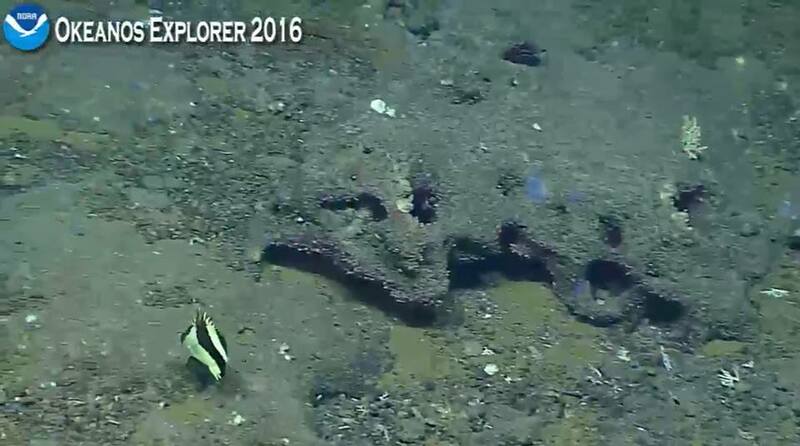 Home / Fish / Prognathodes guyotensis captured on the Okeanos Explorer for the first time! 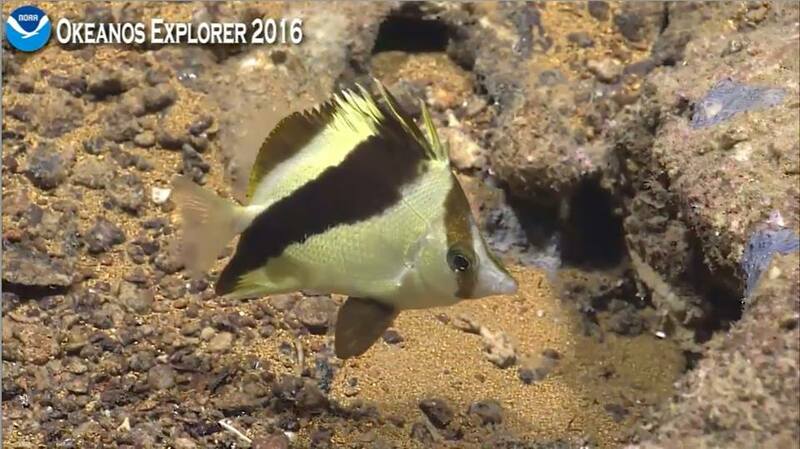 Prognathods guyotensis, the Guyote Butterflyfish. Photo credit: NOAA Okeanos Explorer 2016. 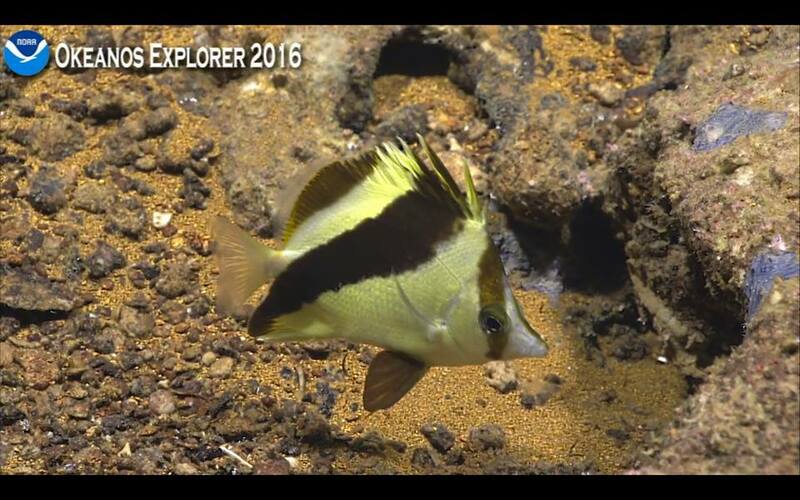 The NOAA Okeanos Explorer‘s live feed broadcast has resulted in an amazing display of unity amongst aquarists and scientists from all corners of the globe, as they gather together as a single entity to appreciate what the deep reefs of Guam and the Marianas have to offer. 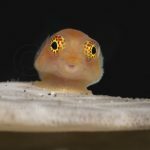 Over the last couple of days, we’ve seen an incredible array of fish, many of which are completely new to science. 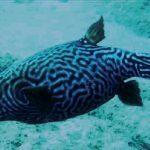 Throughout this broadcast, the discerning ichthyophile may have noticed endemic species from other regions culminating in the Marianas. This isn’t all that surprising, since Guam and the Marianas are at the cross roads between Hawaii, Micronesia, and Japan. 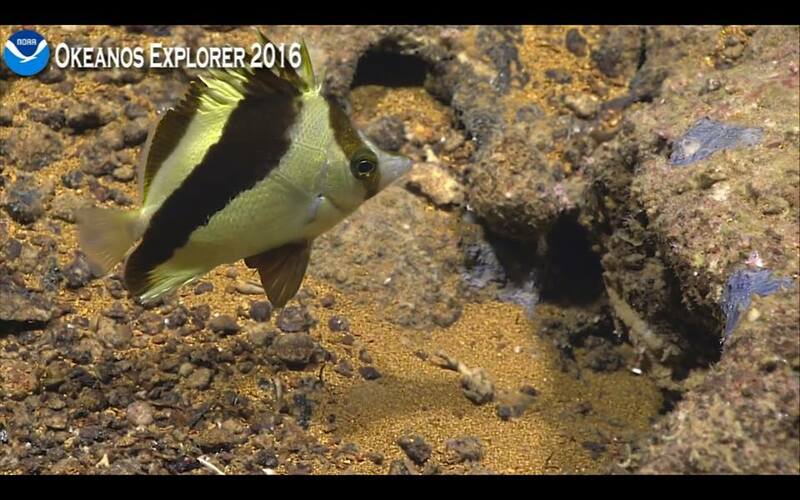 Throughout the broadcast we see species from each of these regions appearing together in harmony – Roa excelsa and Grammatonotus macrophthalmus from Hawaii, Odontanthias sp. and Grammatonotus sp. from Micronesia, and Odontanthias unimaculatus from Japan, for example. 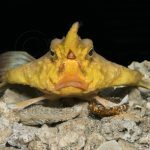 However, the appearance of this superstar deity could not have been anticipated even by the saltiest of fish geeks (Although as an act of good luck, I did wear a T-shirt depicting this species in hopes of meeting one in the dive feed. Who would have thought it would actually happen!). 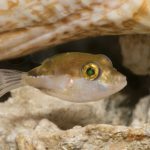 Prognathodes guyotensis is truly one of the most enigmatic and elusive member of the entire butterflyfish family, with no more than five specimens known only from deepwater trawls and submersible videos. 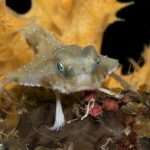 This species was first known in 1982 on the basis of three specimens collected from a trawling operation on the top of a guyot at 342m (>1000ft) located in the Kyushu-Palau Ridge, on the Philippine plate (Nalbant, 1991). It was subsequently described by Yamamoto and Tameka as Chaetodon guyotensis, the specific epithet alluding to the guyot from which it came. Six years later in 1988, Randall and DeBruin obtained a fourth specimen off of Maldives, and subsequently moved the species into the genus Prognathodes. Nalbant, on the basis of morphology and meristics, disagreed with this generic placement, and erected a new genus Peterscottia for guyotensis. He also considered the Maldivian representative to be allopatric and specifically distinct from the Pacific Ocean representative, and alluded the Indian Ocean specimen to be of a separate species. Today, Peterscottia is a junior synonym, and guyotensis remains in Prognathodes; although this is quite likely subjected to future changes.